Get ready to boldly go where very few have gone before… the Official Star Trek Convention! 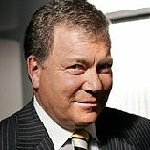 As William Shatner's personal VIP guest! 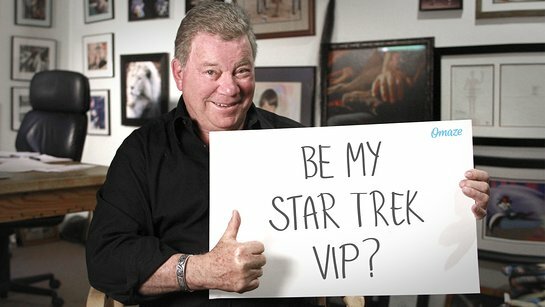 omaze.com is giving you the chance to join Captain Kirk in Las Vegas, and all you have to do is donate to the Hollywood Charity Horse Show. You and your luckiest fellow Trekker will sit VIP at all of William’s panels, get introduced to the audience as his guest at one of them and even have lunch with everyone’s favorite Starfleet officer. Now that’s something to record in the captain’s log. Between bonding with Captain Kirk himself and experiencing the biggest Star Trek convention in the world with exclusive access, even Spock would agree that it’s only logical for all phasers to be set to fun. Deeply moved by an exhibition he saw through Ahead With Horses, a therapeutic riding group for handicapped children, William Shatner started The Hollywood Charity Horse Show. THCHS supports local and national children’s and veterans’ charities through their annual show hosted by William and Elizabeth Shatner. This year they’ll benefit 18 organizations (including Pets for Vets, Children’s Hospital Los Angeles, Ahead with Horses and Blind Children’s Center) with three main focuses: children’s therapeutic programs, community programs and veterans programs. To find out more, visit omaze.com.